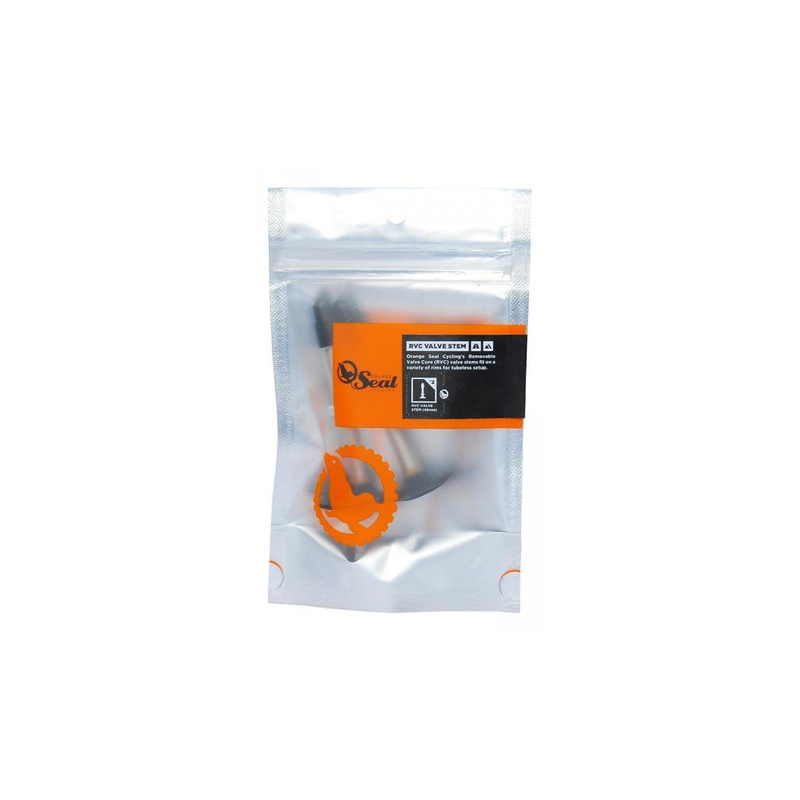 Orange Seal tubeless-ready valves feature a removable valve core and a tapered trim-able base. These features make setting up a tubeless tyre easy on most rims. The uniquely designed base prevents the tubeless valve pulling through the rim while providing a customisable approach to a large variety of rim designs.